This fabulous 5 bedroom,3.5 bathroom plus a big bonus/theater room is move in ready. So many upgrades and features including a dream kitchen with double ovens, Gas cook top, tons of cabinets and more. The home has upgraded hard wood floor,Plantation shutters & loads of tile throughout, fresh paint. 2 bedrooms have a Jack and Jill bathroom and another bedroom has its own bathroom. The master has a separate luxury tub and walk in shower. Formal dining room opens to the great room. the lot is huge at .876 acres. Lush landscaping on the entire property. Large 3 car garage with triple layer custom garage doors, and garage cabinets. Gated RV parking with slab. Heated play pool and spa has a spectacular water feature with slide waterfall and grotto. A built in BBQ area is part of the pool oasisA second septic tank has also been installed for RV dump or guest house, etc. 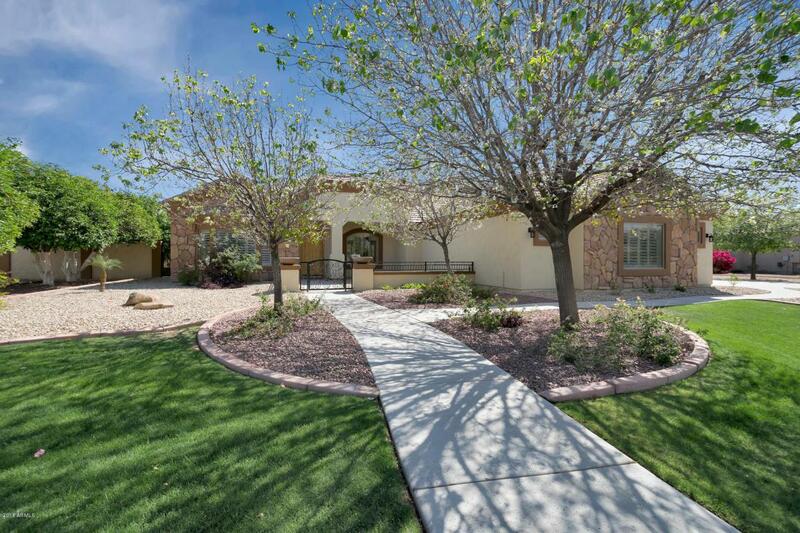 All of these terrific features are located in the highly sought after Orchard Ranch. Come see what makes this neighborhood so popular.